Farewell Madrid – Hola Sevilla. What have I been up to? 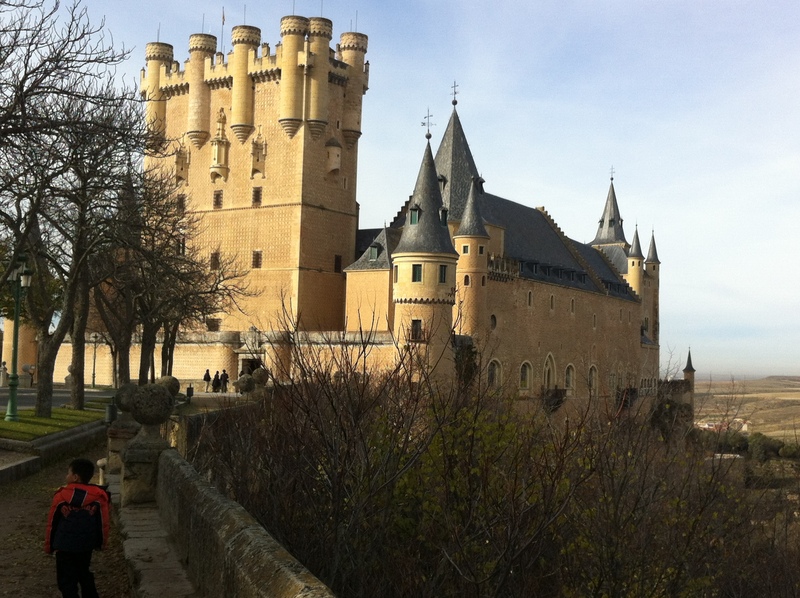 Well, yesterday I went to Segovia and it was an absolute delight. 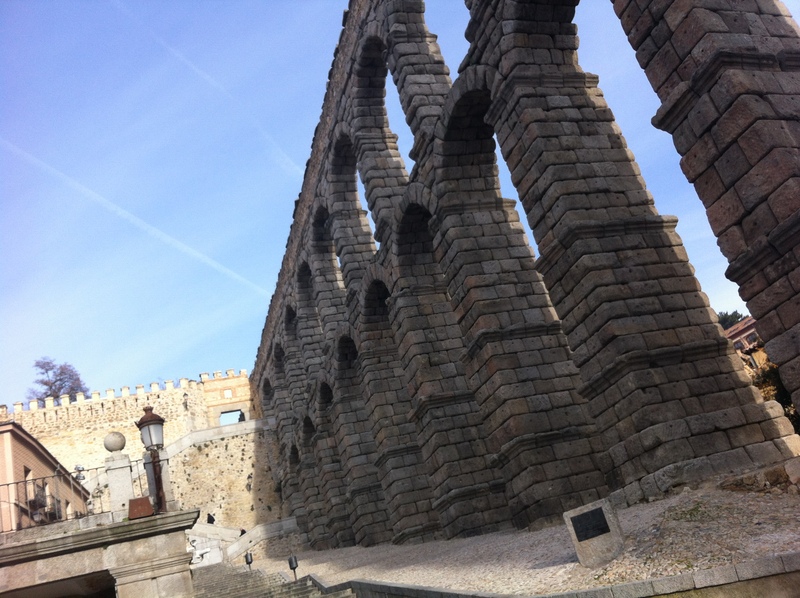 The Romans built an aqueduct over 800m long end in the 1st century or early 2nd century (yes really) and most if it remains today and the highest is 29 meters. Goodness knows how they did this to make it last so long especially without mortar! Bless the Romans! Of course there is a HUGE Cathedral – the last built in Spain and is considered the masterpiece of Basque-Castilian Gothic churches. But the draw card is the Alcazar. I know after going to Granada, all other Alcazar’s are going to look like a poor relation, but hey it was pretty awesome. It looked like a fairy castle and housed many Kings (with awesome names such as Alfonso the Wise, Sam the Wise (on no that was the hobbit), Queens and Queen Isabella (named after my Mum and daughter me thinks). Anyhoo – the tapestries, artwork and furniture were amazing. 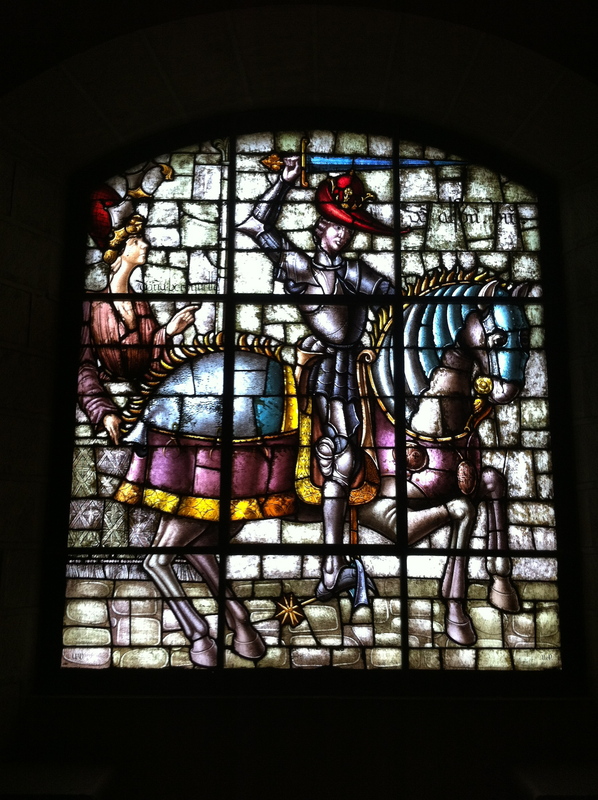 As were the stained glass windows and it was cool seeing the armour that they wore. So much fighting! And of course the artwork hanging on the walls reflects this. It now houses an artillery museum. 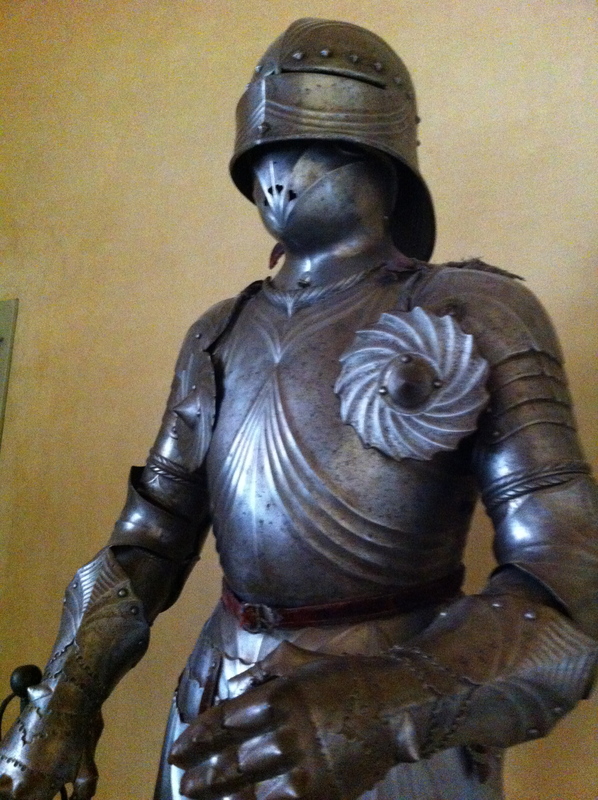 I like this guys armour. He had hearts where his mouth was supposed to be! Maybe he was the Queen’s favourite? The view from the top of the tower was spectacular and there were snow on the neighbouring mountains as it was fffffaa-freezing! They also had these really cool black & white birds that looked like and about the same size as our magpies but they obviously weren’t! There really wasn’t a lot of tourists around, a couple of small busloads but not many. I felt a bit sorry for some of the purveyors in the old city – as there wasn’t much action. There was a high street filled with exclusive stores, but it seemed to be full of locals. For the state of the economy, I’m not finding it all that cheap. A bottle of awesome red Spanish wine costs 1,50E upwards, and a glass in a tapas bar costs 2,50E plus. I’m on the train now to my next adventure – Sevilla. Catching the bus three stops to my new home really isn’t worth it – but my suitcase is getting a tad heavy and cumbersome! And it will be nice to get maximum temps of a sunny 15! The view from the train is pretty spectacular – even if we do go through a lot of tunnels and are traveling at over 250kms/hr! Olive trees everywhere! Orange trees everywhere. Then some grape vines! It’s quite amazing. And so is the Spanish wine! And oranges! And olives! No wonder they have olive oil icecream – I gotta find me some of that!